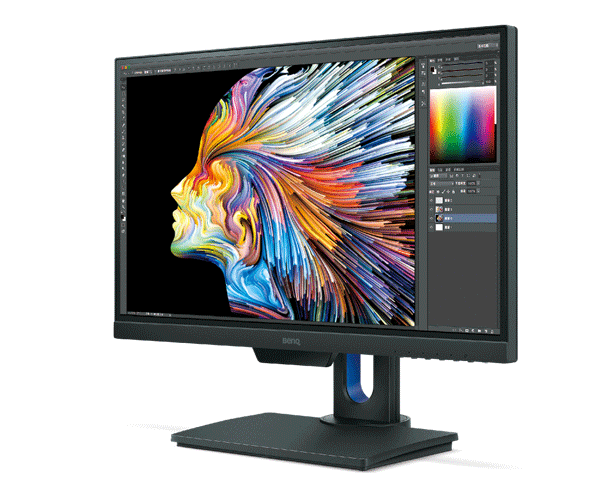 The BenQ Designer Monitor, PD2500Q, is a visually spectacular 25" 2K QHD (2560x1440) high resolution display that showcases every intricate detail in your work. 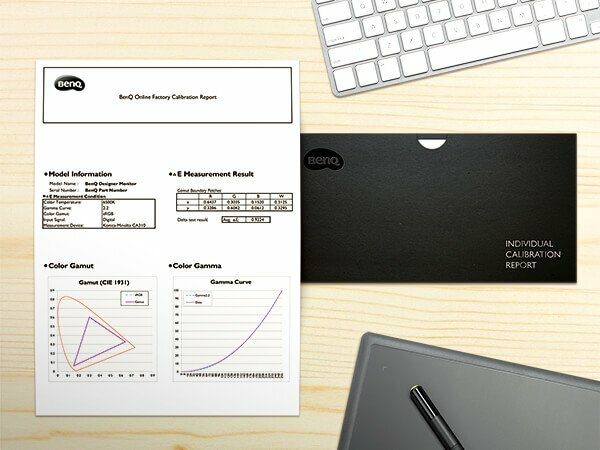 Professionally factory-calibrated for industry-leading color accuracy and 100% sRGB and Rec. 709 color space support, PD2500Q's pristine IPS panel produces exacting color accuracy for the truest and most representative view of original content. Crafted in a gorgeous edge-to-edge ultra slim bezel, PD2500Q provides a seamlessly expansive creative space when dual monitors are used side by side. Universal HDMI, DisplayPort, Mini DisplayPort, USB 3.1 Gen1 Connectivity: Switch conveniently between multiple PC, Mac, or mobile devices. Edge-to-Edge Ultra Slim Bezel Design: Maximize your workspace with minimal footprint, ideal for dual-monitor usage via DisplayPort daisy chaining. Design Professionals never compromise on details. BenQ Designer Monitors deliver absoulte color precision and ultra detailed high resolution to craft every step leading to brilliant work, turning design dreams into reality. Covering 100% sRGB and Rec. 709 color spaces, the PD2500Q's advanced IPS wide viewing angle technology minimized color shift to inspire absolute design confidence. 100% sRGB color gamut accuracy adheres to industry standards in digital production, and Rec. 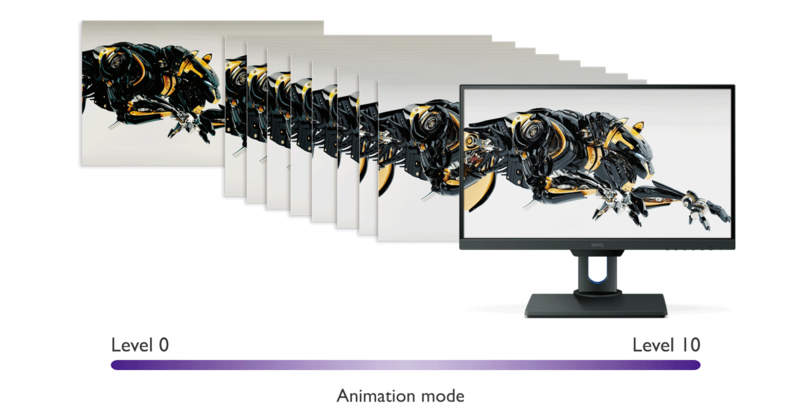 709 reproduces accurate resolution, frame rate, color gamut, gamma, and white point performance in high-definition video work. Each PD2500Q display is individually factory-calibrated upon production to assure precise Delta-E and Gamma performance. Calibration results are validated against industry color standards to deliver the truest and most representative view of orginal content. *Calibration eliminates slight color performance variations between individual panels of the same model. Therefore, the calibration data of each report will vary slightly from reports from other displays of the same model. 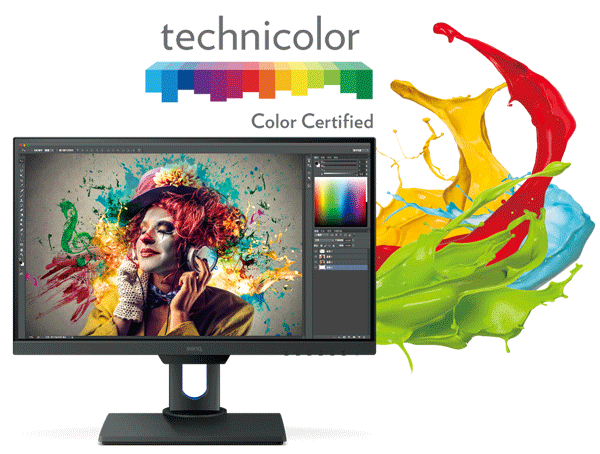 Technicolor Color Certification meets strict color standards widely used in Hollywood and entertainment industries. 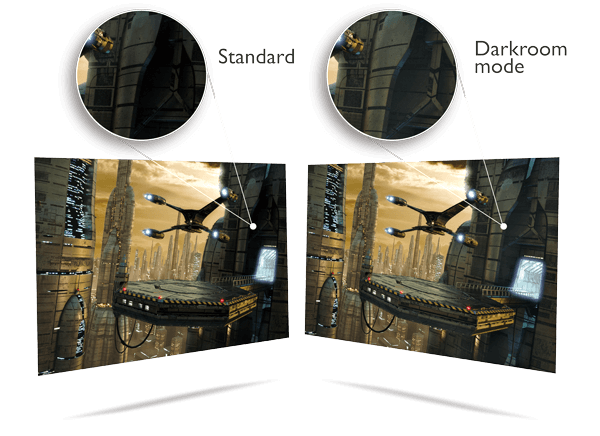 All BenQ PD series Designer Monitors are Technicolor Color Certified, ensuring consistant and accurate colors for impressive performance in broadcast, film, animation, and entertainment applications. Eliminating bulky obstructions with a 25" edge-to-edge panel with ultra-slim bezels, the PD2500Q maximizes your workspace for seamless dual-monitor usage via DisplayPort daisy chaining with multi-stream transport (MST) support to extend your notebook screen across several displays. Multiple HDMI, DisplayPort, USB 3.1 Gen1, headphone, and audio ports make the PD2500Q ideal for any Windows, Mac, or mobile source devices. This mode offers superior contrast for lines and shape in technical illustrations. 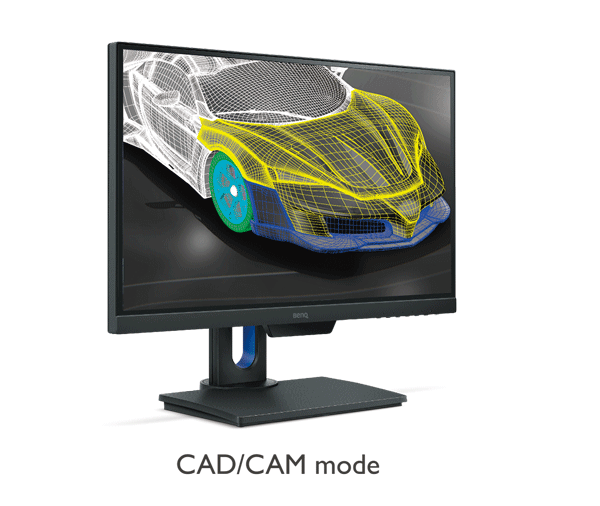 It accentuates the finest details to produce incredible display performance in Pro/E, SOLIDWORKS, AutoCAD, CATIA, or other design software. It helps adjust image brightness and contrast for superb clarity and detail sharpness. It creates an optimal setting for work in darkened post-processing environments. This mode enhances the brightness of dark areas without overexposing bright regions, which is often problematic for designers working with intricate details in dark images. Animation mode provides 10 levels of display brightness to bring out every subtlety clearly in any ambient lighting. The PD2500Q's anti-glare matte finish keeps distracting reflections to a minimum for improves efficiency in squint-free comfort. An extensive range of height, tilt, pivot, stroke, and swivel adjustments customize your workstation for the perfect fit. When used in portrait mode, the PD2500Q's smart screen orientation sensor auto-rotates source content to display images in full context. *Display Pilot auto-rotation software requires Windows OS. 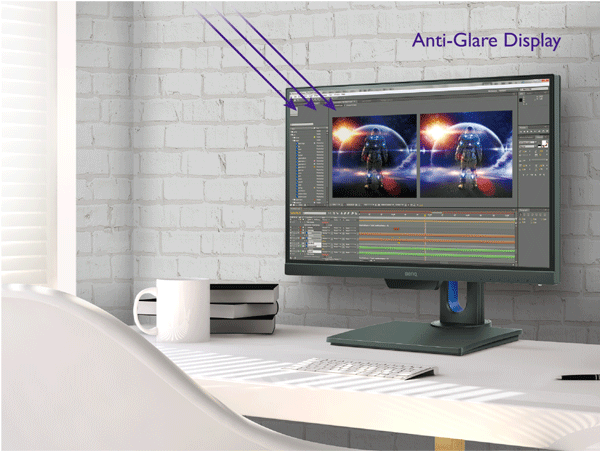 BenQ proprietary Low Blue Light Technology filters out hazardous high-energy blue light, which effectively minimizes eye fatigue and irritation. Brightness Intelligence Technology monitors the amount of ambient light in your viewing environment and makes automatic adjustments according to ambient lighting and intensity of on-screen content to ensure that bright scenes don't get overexposed while enhancing details in dark areas to maintain a visible level of clarity.